For the past year, Corey Patrick has been waking up at 4:00 a.m. every morning to catch a local bus to get to Tarrant High School in Alabama. His family relocated just before his senior year, which is about 10 miles from his school but takes roughly 90 minutes to reach on public transport. 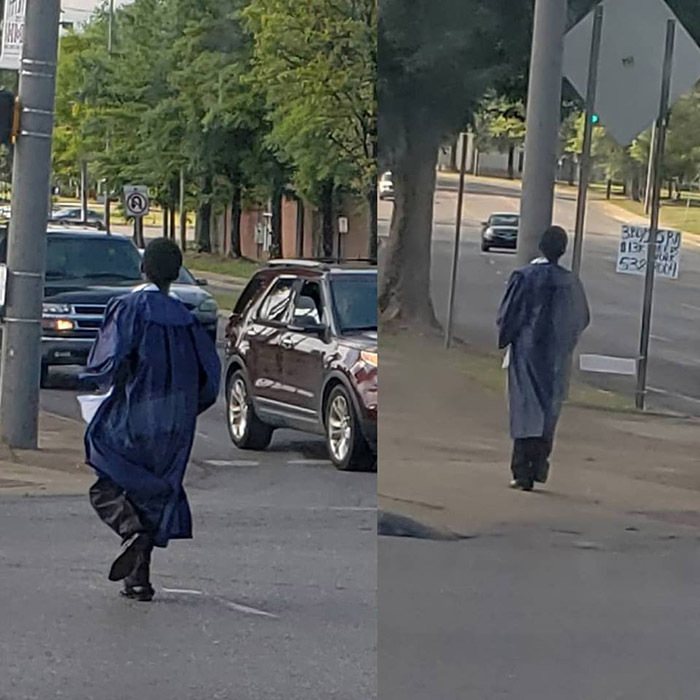 A photo of the 19-year-old went viral last week when a bus driver snapped a picture of him making his way to the bus stop in Birmingham so he could make it to his graduation. “You tell me this ain’t Determination he got on my bus to go to his Graduation no one was with him I pick him in Elyton projects drop him at the at the crossplex in 5 points sometimes it’s all in what you want out of life he didn’t have on the best but he was the best in my eyes I was so proud of this black young man,” Dee Bee wrote as a caption for the photo. The photos quickly went viral, amassing over 43,000 shares on Facebook and catching the attention of radio host Rickey Smiley. The radio show host, along with a few of his celebrity friends, gifted Corey with a brand new car in recognition of the teen’s dedication and perseverance. Along with the new car, a GoFundMe page created for the teen has raised more than $19,000. He’s also received a full scholarship to Jacksonville University.